Lessons for artists wishing to start working digitally – with live sketching in the lovely city of Edinburgh. To join, contact Helen on 07525214377 for details, or email her on imogenart AT imogenart.co.uk Price £9 per hour. With a Masters in Information Technology and plenty of experience working with Photoshop, printing and preparation of digital work, the ‘Art to product’ chain can become complete, when you take lessons with Helen. A self-taught artist with iPad tablet drawing experience from when iPads first came out, Helen has many works to show and demonstrate different styles, painted in several countries. The non-artist coming for iPad lessons may come too – basic drawing can be learned on iPad. Anyone can produce art – it is a self-expression, allowing you to learn about yourself and what you think of the world. Come and surprise yourself. A drawing never looks good when you first finish it, but later you will be impressed (top tip). Currently, drawing on iPad lessons are in a very small group, so can be closely tailored to your likes and dislikes. We have studied different apps on iPad, how to transfer pictures (very important) to store them. And how to test the painting/drawing tools within the apps we have chosen. One of the keys to success with an app is to get to know how the colours blend together, just the same as with real painting media. 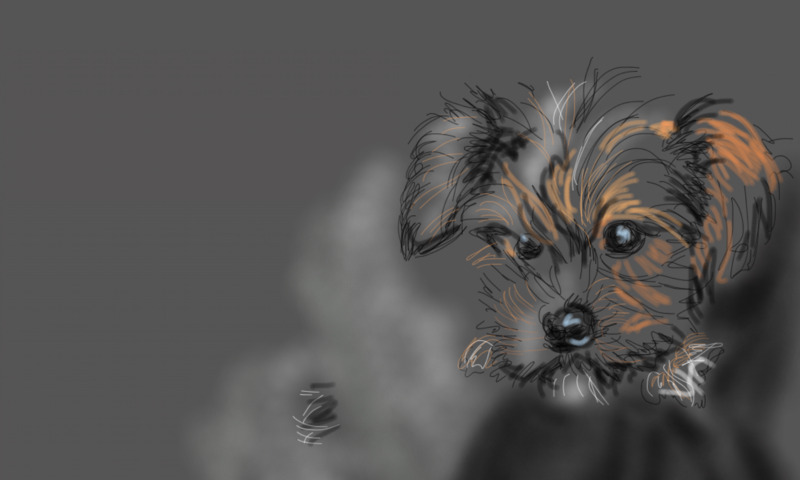 Using Brushes Redux (free), Medibang and ArtSet (not the professional one). These apps are free or inexpensive to download from the App Store (Apple). We do liveSketch – sitting in front of things and drawing them – this was called ‘Plein Air’ (open air) for impressionist painters. Sometimes we are in a gallery, other times a studio, and we plan to go out. We are going to be doing liveSketch around Edinburgh from April, on Friday mornings. Helen can be telephoned or texted on 07525 214377. She is not on the phone while at work so please be patient.